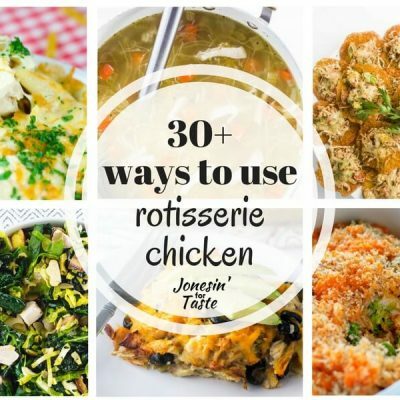 I received the product featured in this post for free in conjunction with Cookout Week. All opinions are my own. 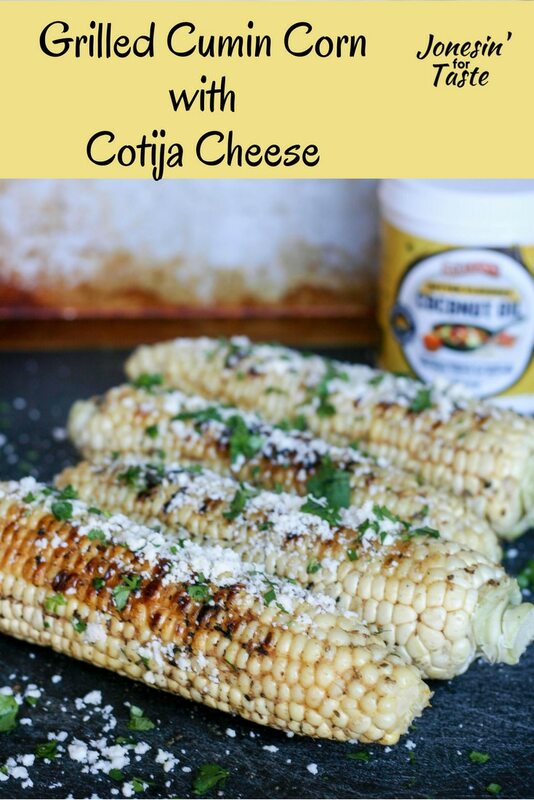 Grilled corn brushed with cumin lemon butter and topped with cotija cheese is easy and packed full of flavor everyone will love. 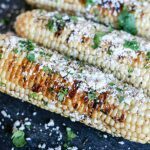 In the summer, corn is at it’s peak in freshness and grilling corn is such an easy way to prepare it. 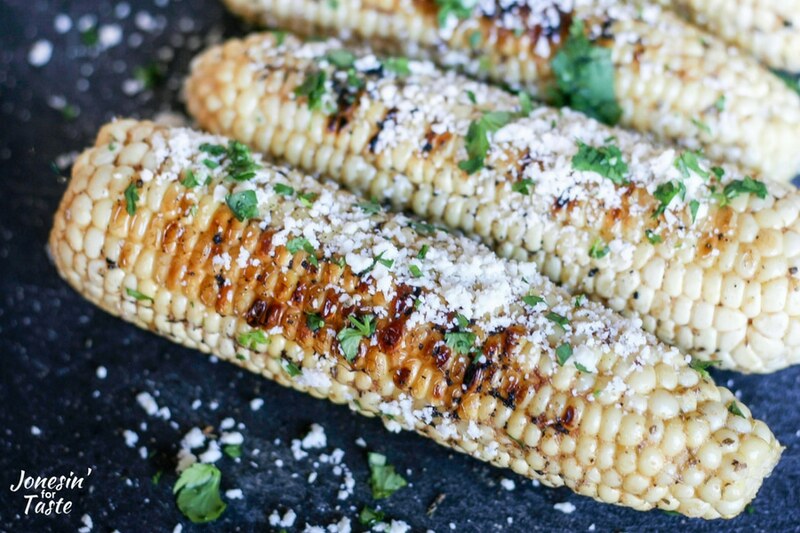 Plus, there is something about the flavor that you get from the grill that just brings out the juiciness of the corn. Husk the corn and remove any silk strands. Brush with butter or oil and seasonings. Grill over medium heat for 3-4 minutes, rotating 1/4 turn to grill corn on 4 sides. 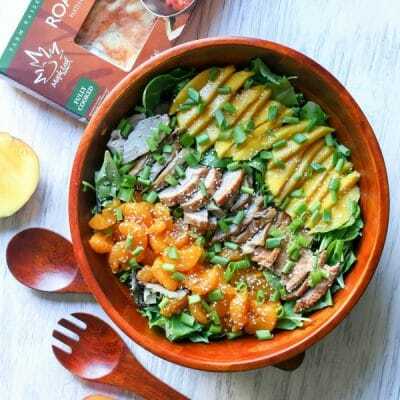 Add any additional toppings and serve immediately. This time I used Barlean’s Butter Flavored Coconut Oil as the base instead of butter. I was impressed with how it tasted and smelled of butter and not of coconut but you still get all the benefits of coconut oil. It’s a great choice too if you may be in mixed diet company. My sister is vegan and it’s take a little mindfulness to make some changes to make sure she can eat too! 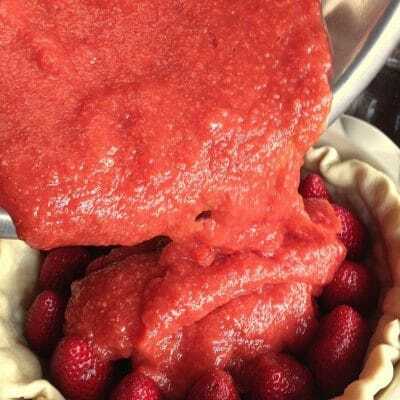 It was prefect for this recipe since you would need melted butter anyways. I think it may be my favorite new go to so I can avoid the splatter mess by melting butter in the microwave. There’s nothing worse than having to clean all that up! If you’ve never had cotija cheese before it’s a dry cheese that is a bit on the salty side. 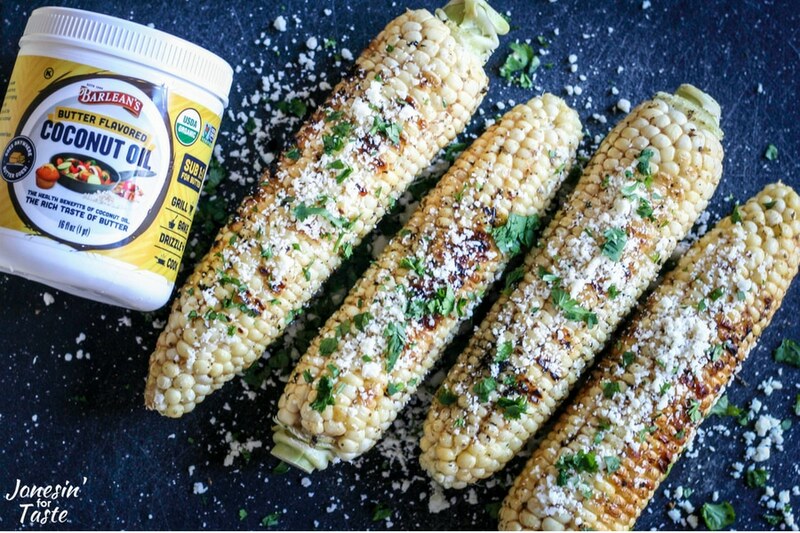 Because it is so dry it’s perfect for crumbling over the grilled corn. I also topped it with some chopped fresh cilantro which helps reinforce the flavors in the cumin butter. Everyone was raving about the flavors of the corn and my kids were so sad that I had only made 4 corn cobs! This will be a new staple during the summer. 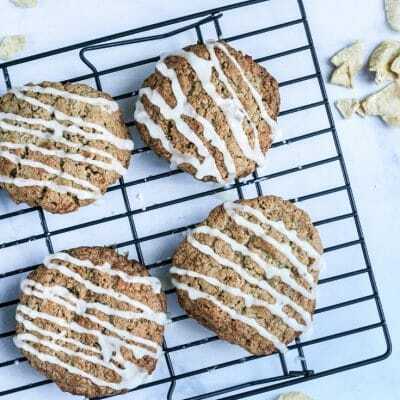 NEED TIPS ON HOW TO GET YOUR KIDS EXCITED ABOUT TRYING NEW DISHES LIKE THIS? 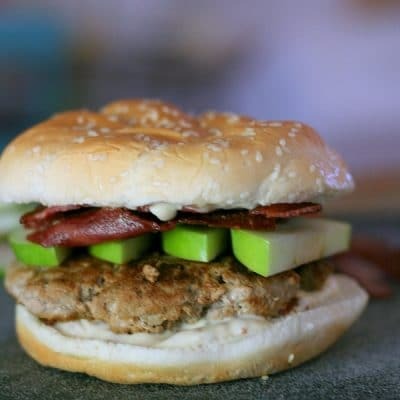 READ THROUGH MY RESOURCE GUIDE ON HOW TO MAKE LATIN AMERICAN FOOD KID FRIENDLY! Don’t have a grill? No Problem! If you don’t have a grill but want to make the corn you can use a grill pan. It might take a few extra minutes to cook per side. You could also make grilled corn in the oven under the broiler. Watch the corn carefully under the broiler and set a timer for yourself so you don’t forget to turn it! Heat grill over medium heat. Meanwhile in a small bowl, combine Barlean's Butter flavored coconut oil, lemon, cumin, garlic, salt, and pepper. Brush one half of each ear of corn with 1 Tbsp of the mixture. 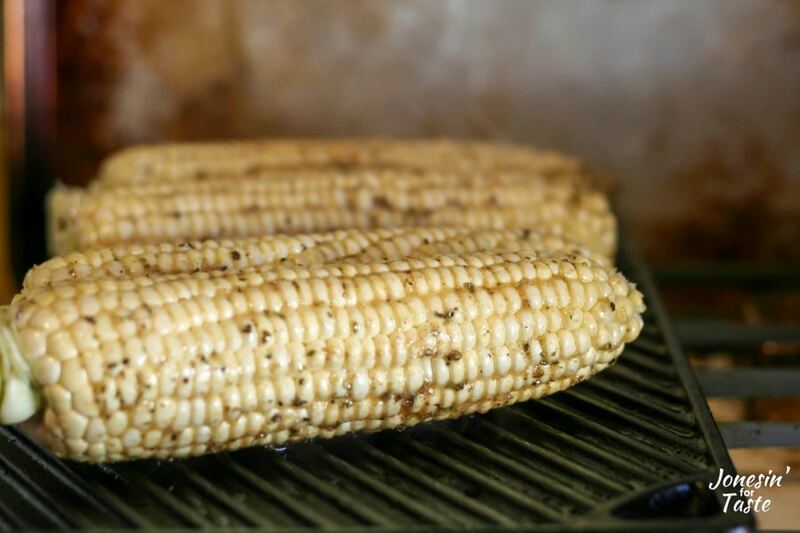 Lay corn buttered side down on the hot grill. Brush the rest of the cob with an additional 1 Tbsp of butter mixture. Grill for about 3-4 minutes per side, rotating the cob to cook all the sides. 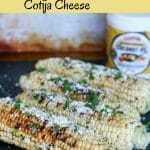 Top corn with crumbled cotija cheese and chopped cilantro. Serve immediately.